Here we are, 50 years after the very first Jazz Fest, and the festival is even more popular today. As part of one of the city’s biggest economic seasons (festival season), Jazz Fest brings in large numbers, from ticket sales and on-site food purchases to hotel accommodations and local restaurant and retail sales. 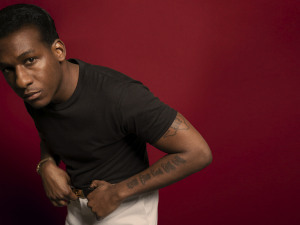 As for the festival itself, each year seems to bring more and more international and mainstream artists. 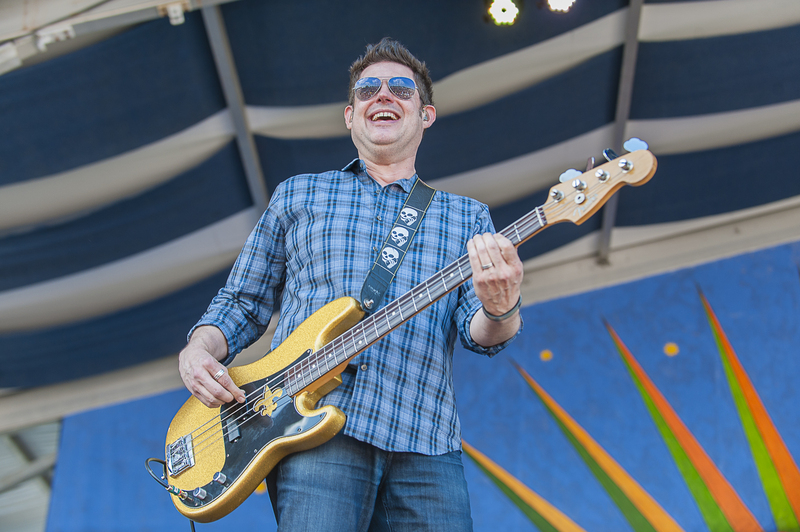 While the musicians have always been some of the biggest and the best of their time, Jazz Fest still maintains its local flare, focusing on music indigenous to Louisiana and New Orleans—the city credited for creating jazz. And yet, there are plenty of non-local acts infiltrating the fest. Of course, there’s major excitement over this year’s headliner, Widespread Panic, but there has also been a tinge of backlash. How did a festival that started as a free cultural event become a massive production with musical acts that hike prices up into the hundreds? There's a divide between those who think that it’s good for the city and those who feel that the festival has become bigger than the city. Whether you see Jazz Fest as positive or negative, it would be crazy to forget where everything started and how things have changed along the way. 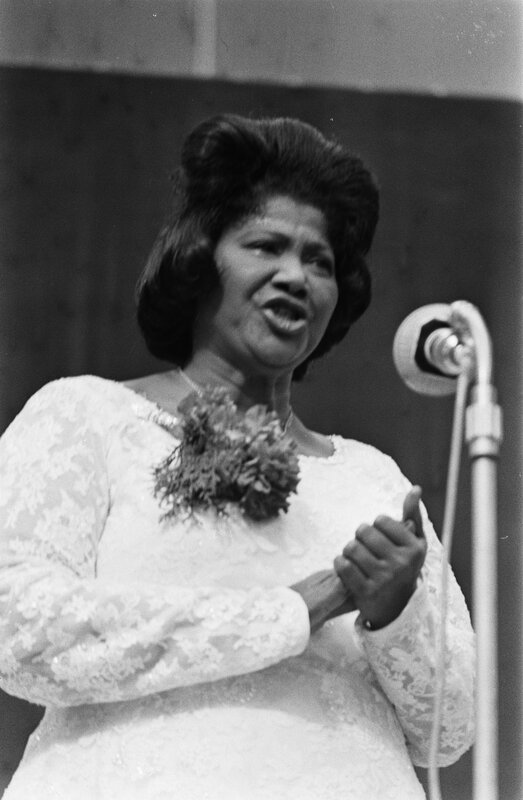 It was spring 1970 when the legendary Mahalia Jackson (above) returned home to appear alongside Duke Ellington and the Eureka Brass Band at the first New Orleans Jazz & Heritage Festival, aka Jazz Fest. Known as the Louisiana Heritage Fair, the festival was to be a celebration of the originators of jazz, alongside food booths, arts and crafts, and evening shows. The first Jazz Fest was held in Congo Square, with just about 350 patrons attending. 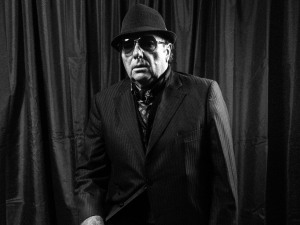 Under the guidance of George Wein, the creator of the successful Newport Jazz Festival in Virginia, the fest was set to be the biggest festival of jazz in the country and possibly the world. Staying true to that, growing numbers forced the festival to relocate to the New Orleans Fair Grounds Race Course, a location where it is comfortably held today. 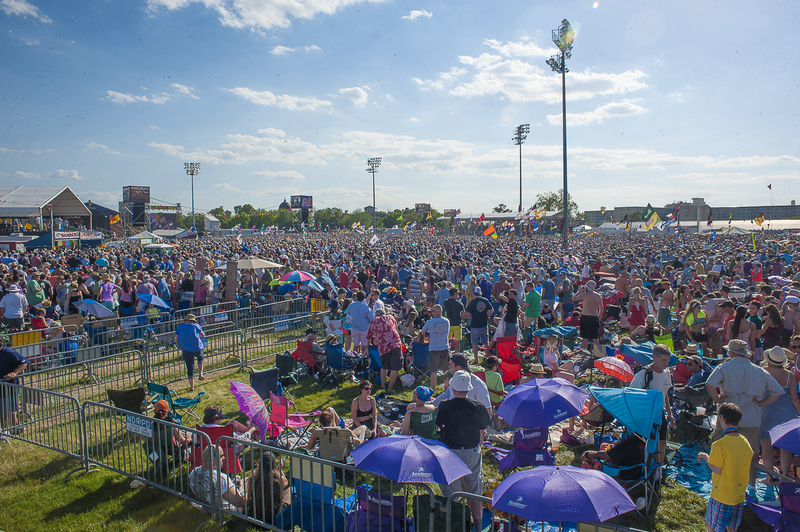 It only took a few years for Jazz Fest to expand to over 80,000 patrons in attendance, and that number has grown as the decades have progressed. During the early years, festival-goers partook in many early advantages, such as free or cheap entry, NOLA-grown headliners and jazz greats, and the ability to enter with your own food and beverages. Even back then, there were constant changes and upgrades, until the festival became the way we know it today. 1989: The 20th anniversary brought on a new tradition. That year, the festival’s annual poster featured Fats Domino. From that moment on, Jazz Fest was to commemorate each year with iconic celebrations of Louisiana music legends. This change caused the Jazz Fest poster to become the most popular poster series in the world. 1990s: With growth being inevitable, the festival embraced its new reputation as a major cultural event. People from all over the world began to attend, causing the festival to create an International Pavilion that celebrates many cultures, including Cuban, Haitian, Panamanian, South African, and more. Along with this addition came the Native American stage and area. 2000s: The festival maintained success, and while the years brought more and more international artists and musicians, things changed considerably when AEG Live teamed up with Jazz Fest in 2004. As the second-largest concert promoter in the world, AEG recreated Jazz Fest by slightly altering the operations of the festival that many had grown to love. After an unexpected set-back with Hurricane Katrina, Jazz Fest managed to return the following year in 2006. From that point, the festival headliners became more and more mainstream. With the larger acts came steeper ticket prices and numerous complaints that the festival was losing its culture to big-time acts and influences. Today’s Jazz Fest may seem different from the ones before it. When locals see the elevated ticket prices, the massive crowds, and the strict no-outside-food-and-beverage policy, it’s easy to feel that the festival we love and love to embrace each year has become a money-grabbing tourist event. While there’s an argument there, the festival’s growth has done many great things, from boosting the economy to bringing major artists to the locals. Yes, tourists attend the festival, but it is still very much a locals’ fest and a celebration of the indigenous musicians, artists, and retailers that we all love. They’ve even included Locals’ Thursday, with discounted tickets for residents. It’s true, the festival has changed over the decades. Some think that’s a good thing, and some think that it’s bad. All great things must change with the times. And the New Orleans Jazz & Heritage Festival has been able to maintain success through each changing decade along the way.